On July 18, 1969, Senator Ted Kennedy (Jason Clarke) hosted a reunion in a rented cottage on Chappaquiddick, a tiny island just 150 yards off the coast of Martha's Vineyard. The gathering was in honor of the Boiler Room Girls, a half-dozen women who had worked on his late brother Bobby's aborted presidential campaign the previous year. Around 11:15 pm, Teddy left the party in his '67 Oldsmobile with one of those young staffers, 28 year-old Mary Jo Kopechne (Kate Mara). An hour or so later, the car ambled down a dirt road and off a wooden bridge, before landing upside-down in Poucha Pond. Senator Kennedy escaped and swam to shore, leaving Mary Jo in the submerged automobile, wrongly assuming that she had drowned. Truth be told, she was still alive and able to breathe, thanks to a large air pocket. However, instead of trying to save Mary Jo, Ted turned his attention to damage control. After all, he was already planning a run for the White House in '72. So, while she remained trapped and terrified for hours, he convened the Kennedy family brain trust, rather than report the accident to the police and fire department. In fact, the authorities only learned about the wreck the next morning when, at low tide, a couple of fishermen spotted the wheels of a car bobbing in the channel. Unfortunately, by the time divers arrived, Mary Jo had already run out of oxygen and died of asphyxiation. Nevertheless, Teddy, with the help of his cronies, did his best to exculpate himself of any wrongdoing. At first, he claimed Mary Jo had been driving, so that no one could accuse him of driving under the influence. 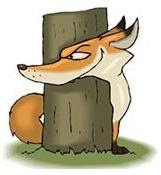 Later, he admitted being behind the wheel but concocted a tall tale about having tried to rescue his passengers several times before she expired. Lucky for Teddy, his legal team was able to influence the inquest. Without performing an autopsy, the medical examiner concluded that Kopechne died of drowning. Consequently, the powerful senator would not be indicted by the grand jury or charge with a crime of any nature. 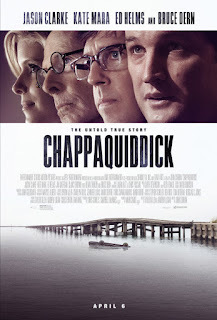 Directed by John Curran (The Painted Veil), Chappaquiddick is a damning docudrama belatedly setting the record straight about what really transpired in Massachusetts on that fateful night back in 1969. Ironically, the elaborate cover-up didn't enable Kennedy to become president, though it did at least keep him out of jail. Don't let it be forgot, that once there was a crash which in one brief, shameful moment brought down the curtain on a dynasty known as Camelot.